Thousands of holidaymakers have spent Idul Fitri in tourism spots surrounding West Java’s provincial capital of Bandung. One of the favorite destinations is the Mt. Tangkuban Parahu Natural Tourist Park in the regency of West Bandung. 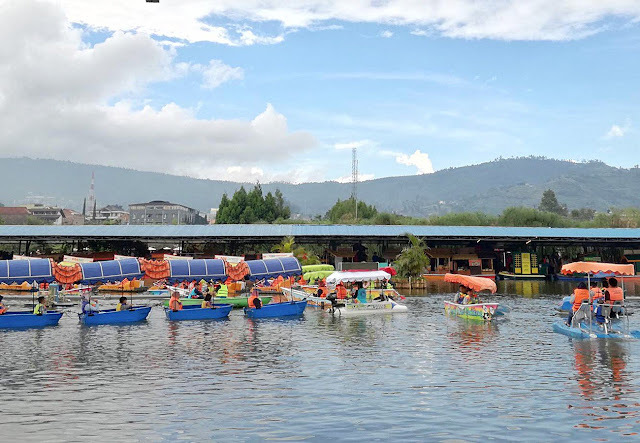 Rahardi from Bekasi, West Java, said he and his family had made a stopover at the park on their way to the Ciater hot springs in Subang, West Java. “The last time I was here is ten years ago. I now see so much improvement in the management,” the 37-year old said. Some 7,000 visitors come to the park per day during the holiday season. “The Idul Fitri holiday is longer this year. 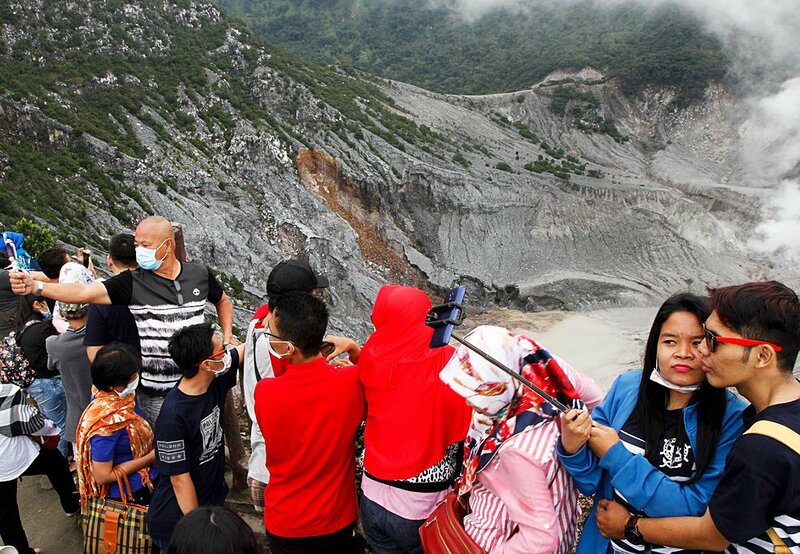 It feels less crowded than last year as visitors are distributed across more days,” said park operator PT Graha Rani Putra Persada operational director Rahman Kaban. Other popular destinations in the area include The Ranch, a Wild West theme park, the Floating Market waterpark and the European style Farm House, which was inspired by the Lord of The Rings movie. The name Tangkuban Parahu derives from the Sundanese tale of Sangkuriang. Once upon a time, Sangkuriang was kicked out from the house when he was a little boy. After he had grown up, he asked his mother Dayang Sumbi to marry him. Dayang required Sangkuriang to create a lake and a boat overnight, only to be surprised that it was almost finished within hours.